Gary Baker of Stockton, California, shows off the really nice 6x6 mule deer buck he took while on a hunt in eastern Montana. 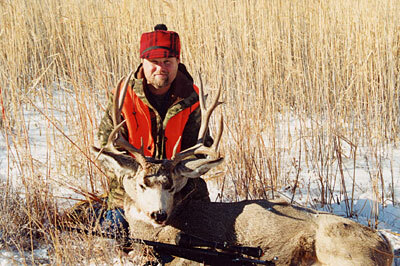 Gary's hunt took place during the second week of November 2000. After spotting the buck, Gary had to make a long stalk in order to fill his tag.